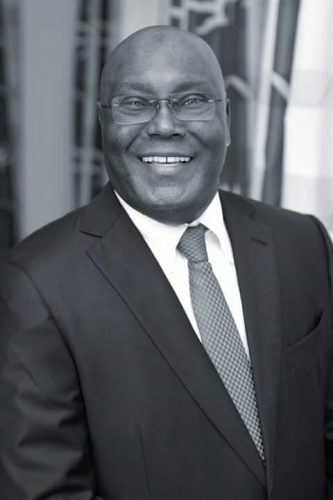 The Peoples Democratic Party (PDP) on Friday ruled out an automatic presidential ticket for former Vice President Atiku Abubakar. The party stated this while reacting to Atiku’s resignation from the ruling All Progressives Congress (APC) and in anticipation of his defection to the main opposition Peoples Democratic Party (PDP). Spokesman of the PDP, Dayo Adeyeye, said Atiku should not expect its presidential ticket on a platter of gold. He stated this in a press conference on Friday. According to him, the former Vice President has been set free having seen the truth. Adeyeye also urged other APC members who are also willing to defect from APC to follow Atiku’s footstep. He, however, added that Atiku was merely returning home as one of the founding fathers of the party has served as the former Vice President and won elections as governor of Adamawa State in 1999 on the platform of the PDP. “We won’t give a ticket to anybody just like that. We will follow all the democracy our processes,” he said. Describing Atiku as a core PDP, Adeyeye, however, said it was unfortunate that Atiku and some former PDP members were in 2013, deceived into believing that there was a platform that would correct all the ills in the PDP and that it could create an Eldorado in Nigeria. He said “I believe they were deceived, people like Atiku because we had challenges in our party at that point in time, they went and join the new party called the APC which we have all now see; every Nigerian has seen, is a fallacy. “The day APC was born marked a tragedy for Nigeria. It has been a monumental disaster for Nigeria. There is nothing progressive in them. Everything about them is unprogressive. Everything about them is a complete disaster. “I believe Atiku Abubakar has come to know the truth like he said in the statement that he has now known the truth, that the APC is not what they call themselves, is not a better platform. That platform is the worst platform in the history of politics in Nigeria.